I screenwrite, and I've found through a great deal of trial and error that understanding the bedrock rules of dramatic theory lets a writer have a great deal more freedom in their writing. Knowing the rules allows one to successfully circumvent the rules in a fashion that provokes a greater catharsis than keeping to the rules provides. Learn them before you break them. Translated Poetics is typically a very hard read, mostly because Aristotle's classical syntax structure ends up being translated from ancient greek so differently from our own that you have to stop every few sentences and ponder exactly what it meant, so I thought I'd give an abridged version adapted for the roleplay medium. Almost all of the rules and assertions that defined classical and contemporary dramatic theory translate very well to the improvisational and dramatic feel of roleplay. I've highlighted main ideas in white. Red stuff is super important stuff. This will be a very long post, so brace yourself. As you read, you will find that you already know quite a bit of what he talks about without realizing it, merely based on your own experiences reading, listening, or watching stories unfold and deciding whether or not you liked it. I will be paraphrasing much of what he said where I can, providing further explanations and some contemporary examples, removing the unnecessary information, and generally trying to showcase, to the best of my ability, the fundamentals. Epics, Tragedy, and Comedy are all in their general conception modes of imitation. They differ from one and another in a few aspects, however. One difference is that since the objects of imitation are men in action, and these men must be either of a higher or a lower type (quality of moral character in the form of goodness and badness being the type), it follows that we must represent men either as better than in real life, or as worse, or as they are. Now it is evident that each of the modes of imitation before mentioned will exhibit these differences, and become distinct in imitating objects. Homer, for instance, exhibits men as better than they are in the Iliad and the Odyssey. The same distinction marks off Tragedy from Comedy; for Comedy aims at representing men as worse, Tragedy as better than in actual life. Another difference is in the manner in which each of these objects may be imitated. For the medium being the same, and the objects the same, the poet or writer may imitate by narration- in which case he can either take another personality as Homer does, or speak in his own person, unchanged- or he may present all his characters as living and moving before us. Poetry in general seems to have sprung from two causes, each of them lying deep in our nature. First, the instinct of imitation is implanted in man from childhood, and it is one difference between him and other animals that he is the most imitative of living creatures, and through that imitation learns his earliest lessons; and no less universal is the pleasure felt in things imitated. We have evidence of this in our experiences. Objects which we view with pain in real life, we delight to think of and ponder when it is reproduced with just a small amount of faithfulness: such as the forms of the most ignoble animals and of dead bodies. Another example is the pain of child losing a father or a wife her husband. In real life, this is painful, unwarranted any vestige of pleasure, but tragic and viewed with unconscious favor when reproduced as an imitation. The cause of this again is: to learn gives the liveliest pleasure, not only to philosophers but to men in general; whose capacity of learning, however, is more limited. Thus the reason why men enjoy seeing a likeness is that in contemplating it, they find themselves learning or inferring from it, and perhaps saying, 'Ah, that is he.' For if you happen to not have seen the original, the pleasure will be due not to the imitation, but to the execution, the coloring, or some other cause. Imitation, then, is one instinct of our nature. Next, there is the instinct for 'harmony' and rhythm, meters being manifestly sections of rhythm. Therefore persons starting with this natural gift developed their special aptitudes by degrees, until their proto-poetry improvisations gave birth to Poetry. Comedy is, as we have said, an imitation of characters of a lower type- not in the full sense of the word 'bad,' however, but rather analogous to the ludicrous being merely a subdivision of the ugly. It consists in some defect or ugliness which is not painful or destructive. To take an obvious example, the comic mask is ugly and distorted, but does not imply pain. Epic poetry agrees with Tragedy in so far as it is an imitation in verse of characters of a higher type. They differ in that Epic poetry is narrative in form. They differ, again, in their length: for Tragedy endeavors, as far as possible, to confine itself to a single year, or but slightly to exceed this limit, whereas the Epic action has no limits of time. This, then, is a second point of difference. Let us now discuss Tragedy, resuming its formal definition, as resulting from what has been already said. Tragedy, then, is an imitation of an action that is serious, complete, and of a certain magnitude; in the form of action, not of narrative; through pity and fear effecting the proper purification of these emotions. Now as tragic imitation implies people acting, it necessarily follows that Spectacular equipment will be a part of Tragedy. Next, Song and Diction, for these are the media of imitation. By 'Diction' I mean the arrangement of words: as for 'Song,' it is a term whose sense every one understands. Again, Tragedy is the imitation of an action; and an action implies personal agents, who necessarily possess certain distinctive qualities both of character and thought; for it is by these that we qualify actions themselves, and these- thought and character- are the two natural causes from which actions spring, and on actions again all success or failure depends. Hence, the Plot is the imitation of the action- by plot I mean the arrangement of the incidents. By Character I mean that the virtue of which we ascribe certain qualities to the agents. Thought is required wherever a statement is proved, or perhaps a general truth enunciated. Every Tragedy, therefore, must have six parts, which parts determine its quality- namely, Plot, Character, Diction, Thought, Spectacle, Song. Two of the parts constitute the medium of imitation, one the manner, and three the objects of imitation. And these complete the fist. 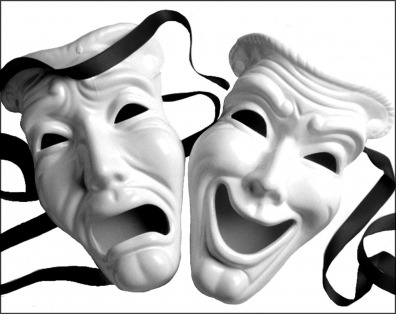 Every play contains Spectacular elements as well as Character, Plot, Diction, Song, and Thought. But most important of all is the structure of the incidents. For Tragedy is an imitation, not of men, but of an action and of life, and life consists in action, and its end is a mode of action, not a quality. Now character determines men's qualities, but it is by their actions that they are happy or the reverse. Dramatic action is not with a view to the representation of character: character comes in as subsidiary to the actions. Hence the incidents and the plot are the end of a tragedy; and the end is the chief thing of all. Again, without action there cannot be a tragedy; there may be without character. If you string together a set of speeches expressive of character, and well finished in point of diction and thought, you will not produce the essential tragic effect nearly so well as with a play which, however deficient in these respects, yet has a plot and artistically constructed incidents. Besides which, the most powerful elements of emotional interest in Tragedy- Reversal of the Situation, and Recognition scenes- are parts of the plot. A further proof is that novices in the art attain to finish of diction and precision of portraiture before they can construct the plot. It is the same with almost all the early poets. Now, according to our definition Tragedy is an imitation of an action that is complete, and whole, and of a certain size which does not follow anything by causal necessity, but after something naturally is or comes to be. An end, on the contrary, is something that itself naturally follows some other thing, either by necessity, or as a rule, but has nothing following it. A middle is that which follows something as some other thing follows it. A well constructed plot, therefore, must neither begin nor end at haphazard, but conform to these principles. Again, a beautiful object, whether it be a living organism or any whole composed of parts, must not only have an orderly arrangement of parts, but must also be of a certain size; for beauty depends on size and order. Hence a very small animal organism cannot be beautiful; for the view of it is confused, the object being seen in an almost imperceptible moment of time. Nor, again, can one of vast size be beautiful; for as the eye cannot take it all in at once, the unity and sense of the whole is lost for the spectator; as for instance if there were one a thousand miles long. As, therefore, in the case of animate bodies and organisms a certain size is necessary, and a size which may be easily embraced in one view; so in the plot, a certain length is necessary, and a length which can be easily embraced by the memory. Unity of plot does not consist in the unity of the hero. There are infinitely various incidents in one man's life that cannot be reduced to unity. Therefore, as well there are many actions of a man's life that we cannot make into one action. In truth, one must only look to the surpassing merit of Homer for example. In composing the Odyssey he did not include all the adventures of Odysseus- such as his wound on Parnassus, or his feigned madness at the mustering of the host- incidents that between the two there was no necessary or probable connection to the story: but he made the Odyssey, and likewise the Iliad, to center round an action that in our sense of the word is one, or "whole". Therefore, in the other imitative arts, the imitation is one when the object imitated is one, so the plot, being an imitation of an action, must imitate one action and that a whole, or the structural union of the parts, being that if any one of them is displaced or removed, the whole will be disjointed and disturbed. For a thing whose presence or absence makes no visible difference, is not an organic part of the whole. In roleplay, this is the storyline and the events that make it up. If the story is in the middle of a war plotwise, it would take away from the whole to have an event where you would go drinking. This is better left back because it detracts from the overall storyline, which would benefit from its absence. Simply drinking offers nothing to the story, unless you make it propel forward the story, and taking it out provides a cleaning storyline. It is very much evident from what has been said, that it is not the function of the poet to relate what has happened, but what may happen- what is possible according to the law of probability or necessity. There are two categories of plots: simple and complex; for the actions in real life obviously show a similar distinction, of which the plots are an imitation. One is not superior nor inferior a plot than the other, but merely different. An action which is one and continuous in the sense above defined, I call Simple, when the change of fortune takes place without Reversal of the Situation and without Recognition. A Complex action is one in which the change is accompanied by such Reversal, or by Recognition, or by both. These last should arise from the internal structure of the plot, so that what follows should be the necessary or probable result of the preceding action. It makes all the difference whether any given event is a case of propter hoc (occuring before an event) or post hoc (occuring after). Reversal of the Situation is a change by which the action veers round to its opposite, subject always to our rule of probability or necessity. Thus in the Oedipus, the messenger comes to cheer Oedipus and free him from his alarms about his mother, but by revealing who he is, he produces the opposite effect. Again in the Lynceus, Lynceus is being led away to his death, and Danaus goes with him, meaning to slay him; but the outcome of the preceding incidents is that Danaus is killed and Lynceus saved. In roleplay, a man might intend to ambush another character. Reversal of situation is merely that man getting his comeuppance and a bad fate befalling his person instead of the intended person. We must proceed to consider what the poet should aim at, and what he should avoid, in constructing his plots; and by what means the specific effect of Tragedy will be produced. A perfect tragedy should, as we have seen, be arranged not on the simple but on the complex plan. It should imitate actions which excite pity and fear, this being the distinctive mark of tragic imitation. It follows plainly that the change of fortune presented must not be the spectacle of a virtuous man brought from prosperity to adversity: for this moves neither pity nor fear; it merely shocks us. Nor, again, that of a bad man passing from adversity to prosperity: for nothing can be more alien to the spirit of Tragedy; it possesses no single tragic quality; it neither satisfies the moral sense nor calls forth pity or fear. Nor, again, should the downfall of the utter villain be exhibited. A plot of this kind would doubtlessly satisfy the moral sense, but it would inspire neither pity nor fear; for pity is aroused by unmerited misfortune, fear by the misfortune of a man like ourselves. Such an event, therefore, will be neither pitiful nor terrible. There remains, then, the character between these two extremes- that of a man who is not eminently good and just, yet whose misfortune is brought about not by vice or depravity, but by some error or frailty. In roleplay, my character the Grim was a tragic villain in much of the sense. His tragic spiral from a warrior to a supremacist happened on a whim, by being ambushed by Bretons randomly. Unmerited misfortune. In some ways, he struck fear into other players simply because he was once a man who's fate was unjust, and that is something that can happen to any character. A well-constructed plot should therefore be single in its issue, rather than double, as some maintain. The change of fortune should be not from bad to good, but, reversely, from good to bad. It should come about as the result not of vice, but of some great error or frailty, in a character either such as we have described, or better rather than worse. Let us then determine what the circumstances are which strike us as terrible or pitiful. Actions capable of this effect must happen between persons who are either friends or enemies or indifferent to one another. If an enemy kills an enemy, there is nothing to excite pity either in the act or the intention- except so far as the suffering in itself is pitiful. This is the same with indifferent persons. But when the tragic incident occurs between those who are near or dear to one another- if, for example, a brother kills, or intends to kill, a brother, a son his father, a mother her son, a son his mother, or any other deed of the kind is done- these are the situations to be looked for by the poet. He may not indeed destroy the framework of the received legends- the fact, for instance, that Clytemnestra was slain by Orestes and Eriphyle by Alcmaeon- but he ought to show of his own, and skilfully handle the traditional. material. Let us explain more clearly what is meant by skilful handling. The action may be done consciously and with knowledge of the persons, in the manner of the older poets. It is thus too that Euripides makes Medea slay her children. Or, again, the deed of horror may be done, but done in ignorance, and the tie of kinship or friendship be discovered afterwards. The Oedipus of Sophocles is an example. Here, indeed, the incident is outside the drama proper; but cases occur where it falls within the action of the play: one may cite the Alcmaeon of Astydamas, or Telegonus in the Wounded Odysseus. Again, there is a third case- to be about to act with knowledge of the persons and then not to act. The fourth case is when some one is about to do an irreparable deed through ignorance, and makes the discovery before it is done. These are the only possible ways. For the deed must either be done or not done- and that wittingly or unwittingly. But of all these ways, to be about to act knowing the persons, and then not to act, is the worst. It is shocking without being tragic, for no disaster follows It is, therefore, never, or very rarely, found in poetry. One instance, however, is in the Antigone, where Haemon threatens to kill Creon. The next and better way is that the deed should be perpetrated. Still better, that it should be perpetrated in ignorance, and the discovery made afterwards. There is then nothing to shock us, while the discovery produces a startling effect. The last case is the best, as when in the Cresphontes Merope is about to slay her son, but, recognizing who he is, spares his life. So in the Iphigenia, the sister recognizes the brother just in time. Again in the Helle, the son recognizes the mother when on the point of giving her up. This, then, is why a few families only, as has been already observed, furnish the subjects of tragedy. It was not art, but happy chance, that led the poets in search of subjects to impress the tragic quality upon their plots. They are compelled, therefore, to have recourse to those houses whose history contains moving incidents like these. In respect of Character there are four things to be aimed at. First, and most important, it must be good. Now any speech or action that manifests moral purpose of any kind will be expressive of character: the character will be good if the purpose is good. The second thing to aim at is propriety. There is a type of manly valor; but valor in a woman, or unscrupulous cleverness is inappropriate (400BCE social attitudes are 400BCE). Thirdly, character must be true to life: for this is a distinct thing from goodness and propriety, as here described. The fourth point is consistency: for though the subject of the imitation, who suggested the type, be inconsistent, still he must be consistently inconsistent. As an example of motiveless degradation of character, we have Menelaus in the Orestes; of character indecorous and inappropriate, the lament of Odysseus in the Scylla, and the speech of Melanippe; of inconsistency, the Iphigenia at Aulis- for Iphigenia the suppliant in no way resembles her later self. As in the structure of the plot, so too in the portraiture of character, the poet should always aim either at the necessary or the probable. Thus a person of a given character should speak or act in a given way, by the rule either of necessity or of probability; just as an event should follow the one before it by necessary or probable sequence. It is therefore evident that the unraveling of the plot, no less than the complication, must arise out of the plot itself, it must not be brought about by the Deus ex Machina- as in the Medea, or in the return of the Greeks in the Iliad. The Deus ex Machina should be employed only for events external to the drama- for antecedent or subsequent events, which lie beyond the range of human knowledge, and which are required to be reported or foretold; for to the gods we ascribe the power of seeing all things. Within the action there must be nothing irrational. If the irrational cannot be excluded, it should be outside the scope of the tragedy. Such is the irrational element the Oedipus of Sophocles. What Recognition is has already been explained. We will now enumerate on its kinds. First, the least artistic form, which, from poverty of wit, is most commonly employed- recognition by signs. Of these some are present from birth- such as 'the spear which the earth-born race bear on their bodies,' or the stars introduced by Carcinus in his Thyestes. Others are acquired after birth; and of these some are bodily marks, as scars; some external tokens, as necklaces, or the little ark in the Tyro by which the discovery is effected. Even these admit of more or less skilful treatment. Thus in the recognition of Odysseus by his scar, the discovery is made in one way by the nurse, in another by the swineherds. The use of tokens for the express purpose of proof- and, indeed, any formal proof with or without tokens- is a less artistic mode of recognition. A better kind is that which comes about by a turn of incident, as in the Bath Scene in the Odyssey. Next come the recognitions invented at will by the poet, and should be wanting in art. For example, Orestes in the Iphigenia reveals the fact that he is Orestes. She, indeed, makes herself known by the letter; but he, by speaking himself, and saying what the poet, not what the plot requires. This, therefore, is nearly allied to the fault above mentioned- for Orestes might as well have brought tokens with him. Another similar instance is the 'voice of the shuttle' in the Tereus of Sophocles. The fourth kind is by process of reasoning. Thus in the Choephori: 'Some one resembling me has come: no one resembles me but Orestes: therefore Orestes has come.' Such too is the discovery made by Iphigenia in the play of Polyidus the Sophist. It was a natural reflection for Orestes to make, 'So I too must die at the altar like my sister.' So, again, in the Tydeus of Theodectes, the father says, 'I came to find my son, and I lose my own life.' So too in the Phineidae: the women, on seeing the place, inferred their fate- 'Here we are doomed to die, for here we were cast forth.' Again, there is a composite kind of recognition involving false inference on the part of one of the characters, as in the Odysseus Disguised as a Messenger. A said [that no one else was able to bend the bow; ... hence B (the disguised Odysseus) imagined that A would recognize the bow which, in fact, he had not seen; and to bring about a recognition by this means- the expectation that A would recognize the bow- is false inference. It remains to speak of Diction and Thought, the other parts of Tragedy having been already discussed. Concerning Thought, we may assume what is said in The Art of Rhetoric, to which inquiry the subject more strictly belongs. Under Thought we include every effect which has to be produced by speech, the subdivisions being: proof and refutation; the excitation of the feelings, such as pity, fear, anger, and the like; the suggestion of importance or its opposite. Now, it is evident that the dramatic incidents must be treated from the same points of view as the dramatic speeches, when the object is to evoke the sense of pity, fear, importance, or probability. The only difference is that the incidents should speak for themselves without verbal exposition; while effects aimed at in should be produced by the speaker, and as a result of the speech. For what were the business of a speaker, if the Thought were revealed quite apart from what he says? Show, do not say explicitly. Next regards Diction. One branch of the inquiry are the Modes of Utterance. But this area of knowledge belongs to the art of Delivery and to the masters of that science. It includes, for instance- what is a command, a prayer, a statement, a threat, a question, an answer, and so forth. To know or not to know these things involves no serious censure upon the poet's art. For who can admit the fault imputed to Homer by Protagoras- that in the words, 'Sing, goddess, of the wrath, he gives a command under the idea that he utters a prayer? For to tell some one to do a thing or not to do it is, he says, a command. We may, therefore, pass this over as an inquiry that belongs to another art, not to poetry. First to matters which concern the poet's own art. If he describes the impossible, he is guilty of an error; but the error may be justified, if the end of the art be thereby attained (the end being that already mentioned)- if the effect of this or any other part of the poem that is thus rendered more striking. A case in point is the pursuit of Hector. if, however, the end might have been as well, or better, attained without violating the special rules of the poetic art, the error is not justified: for every kind of error should, if possible, be avoided. Further, if it be objected that the description is not true to fact, the poet may perhaps reply, 'But the objects are as they ought to be'; just as Sophocles said that he drew men as they ought to be; Euripides, as they are. In this way the objection may be met. If, however, the representation be of neither kind, the poet may answer, 'This is how men say the thing is.' applies to tales about the gods. Thus, there are five sources from which critical objections are drawn. Things are censured either as impossible, or irrational, or morally hurtful, or contradictory, or contrary to artistic correctness. If Aristotle's syntax trips you up, comment below and I can clarify what he meant. I've been working on this writeup for a long time. I've actually omitted literally hundreds of mentions of Homer. Here are a few ones I found interesting. "Homer, admirable in all respects, has the special merit of being the only poet who rightly appreciates the part he should take himself." "It is Homer who has chiefly taught other poets the art of telling lies skilfully." " In all these respects Homer is our earliest and sufficient model." "Here again, then, as has been already observed, the transcendent excellence of Homer is manifest." That doesn't sound right, but I don't know enough about vampiric dragon priest lycanthropes to dispute it.